"I hope to honor my friend Phyllis, who recently lost her battle with cancer and who's company I kept while I knitted them." Thanks Janet; I will cherish it! I am so far behind in my blogging that I forgot to mention that Natural Awakenings featured two of my paintings on the front cover of the free autumn issue. 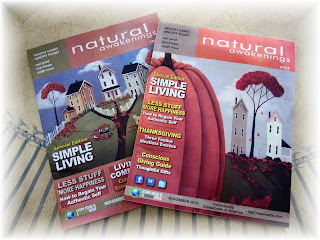 A blogging friend mentioned to me one day that she saw my artwork on the front cover. It's always nice to hear from bloggy friends and nice to know that someone out there recognized my artwork. I recently decided that I need more color in my life after reading one of my favorite blogs, Attic 24. I'm making this colorful hexagon afghan for my bed and these blocks are put together as you go. She has fantastic easy to follow instructions here. 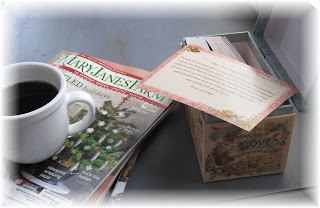 Lucy's blog is so much fun to read and I know you'll love her cute accent that comes through in her daily posts. Makes me want to hop, skip, and jump right over to England! This is what my poor hubby was doing this week. Poor guy! He needs an old truck with a plow. We've got one cheap. LOL! Congrats on the magazine covers! They look just beautiful with your work on them. Love your neck warmer and most especially the afghan you are working on. My mother left me with so much yarn. I've been wondering what I might do with it all and this may prove to be an answer. Thanks so much for the link. Lovely to see you here, though I understand that the afghan calls. Wow, that's a lot of snow! Congratulations, Cathie, on the magazine covers! How special. I love the neck warmer and have seen quite a few of these posted on other blogs. 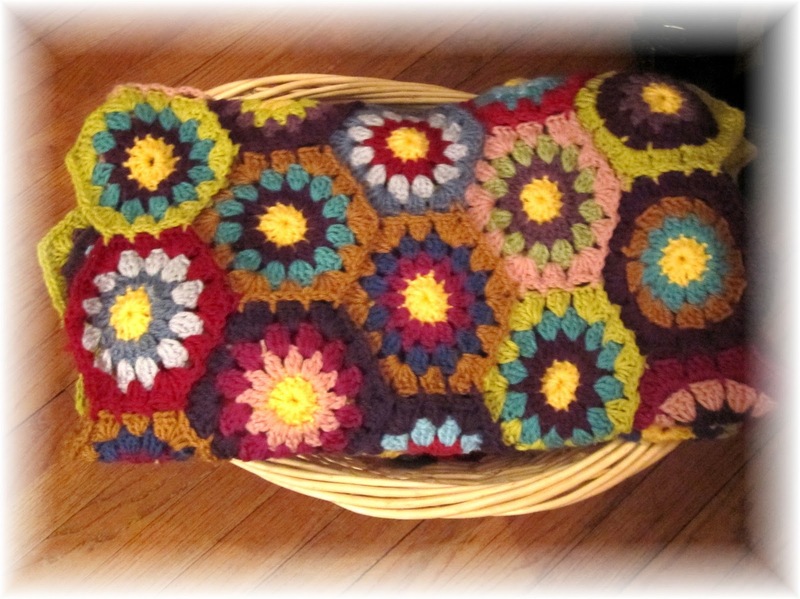 Oh my, I love your hexagon afghan, its beautiful and the colors are so perfect, but then you have the eye for color! It always fun to create a afghan. I have them all over the house and we use one every night. 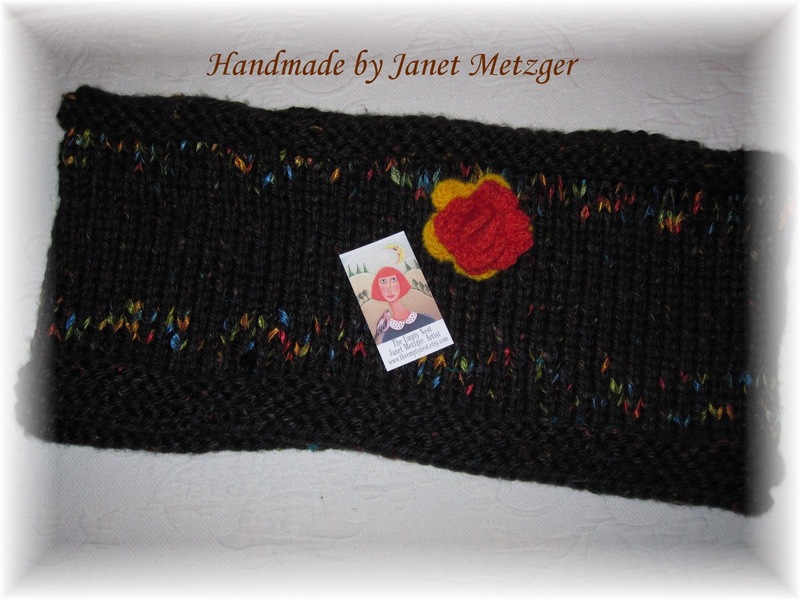 How kind and thoughtful of Janet..The cowl scarf will keep you very warm with all the snow you have. so great your art is on the cover of that magazines. It must be great, to see it published, even for a book author like you. I love the painting with the huge pumpking infront. Your art is so great. Congratulations on the magazine covers. Love your afghan. I should do something to make my hands move. Thanks for the inspiration. Cathie, congratulations on the magazine covers!!! Woohoo!! I love your work and you deserve to be on the cover! Sometimes I have bumpy times creating my jewelry too-I think it happens to everyone! That cowl was really pretty and what a nice gift and the story behind it! HUGS to you Cathie! Oh goodness I know how you feel...I'm doing ok posting but I'm so far behind in reading my favorite blogs. Hopefully I'll get caught up before the weekend is over. Congratulations on your artwork being on the cover of that magazine...what a wonderful surprise for you! I love that afghan you're making...I think I'll pop on over and check out your friends blog and get those instruction. I really feel like I need to create something...it's been a long time since I've done anything like that! 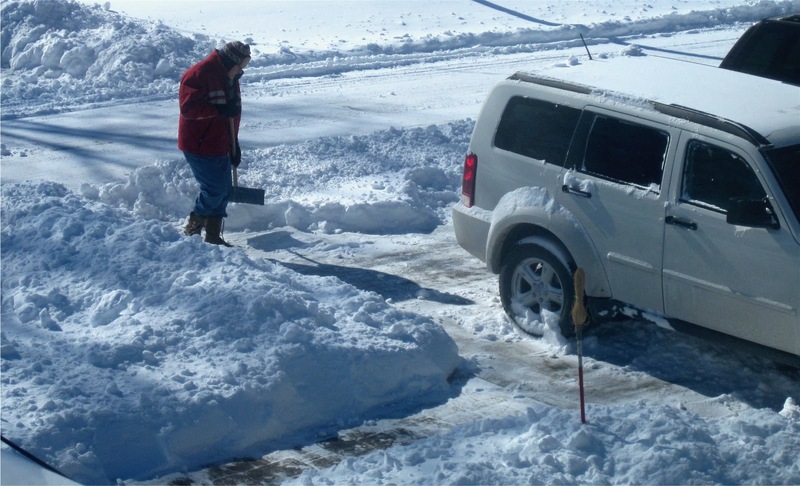 I hope the snow that hit us the other day has missed you. Stay warm and be safe.